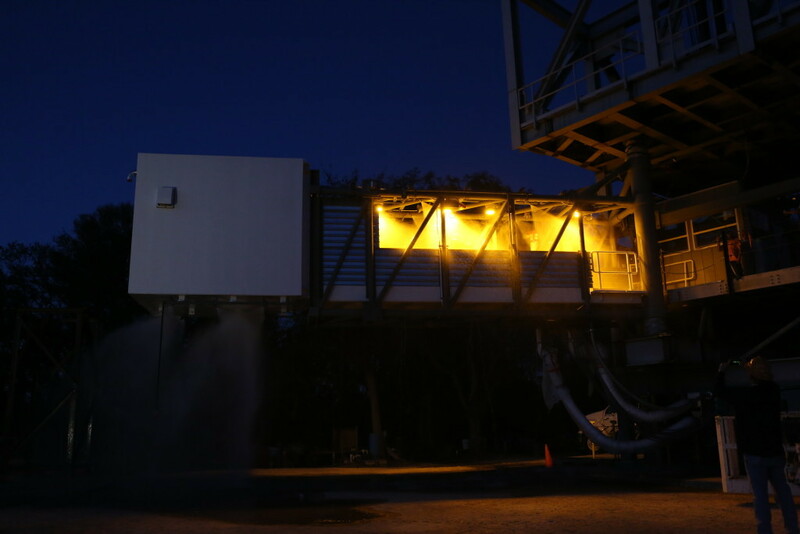 Engineers and technicians gathered at dusk recently at a construction site near Kennedy Space Center in Florida to test systems that will support Boeing’s CST-100 Starliner spacecraft. 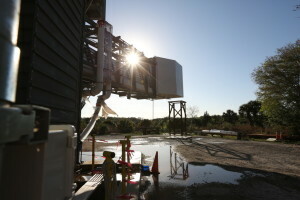 The Crew Access Arm and White Room saw some of the most dynamic testing thus far, when hundreds of gallons of water were sprayed along the arm and beneath it for an evaluation of its water deluge system. The system is a key safety feature for future launches on the Starliner, one of two commercial spacecraft in development to carry astronauts to the station. In the unlikely event of an emergency, astronauts ready to launch on future missions aboard the Starliner would need a clear, safe path to exit. The arm and attached white room will provide a bridge between the Crew Access Tower and the spacecraft, as it prepares to launch on a United Launch Alliance Atlas V rocket. Two rounds of testing in different lighting conditions checked whether the water system could cover the arm adequately and the LED lights were up to the task of helping guide astronauts to safety. The test mimicked what the system would need to do at the launch pad in case of an emergency. The tower’s main structure is already standing at Space Launch Complex 41, the launch site for the Starliner. After more testing on other systems, the arm will be moved to the launch pad later this summer before being lifted into place on the tower. NASA’s Commercial Crew Program will return human spaceflight capabilities to the U.S. on commercial spacecraft. Boeing and SpaceX are developing separate spacecraft and launch systems along with a network of mission and ground support capabilities. Commercial crew flights will add an additional crew member to the station, effectively doubling the amount of time dedicated to research aboard the orbiting laboratory.